An Aardvark in South Africa: The Attack of the Vuvuzelas – Part One | What I think About When I Think About Writing. ← Introducing Tara Kane, P.I. My initial request was greeted by a look of apprehension. It’s not often a High Aardvark asks for an extended leave of absence. When one does, he is required to attend a face-to-face with the Highest of Highest: the Supreme Concordant – the being who oversees our duties on Earth. I was hoping to catch HOH on a good day. Seeing that it wasn’t a Monday, I reckoned my chances were good of a favourable conclusion. But I still had to put my case forward as well as I could. I was asking for a lot. Alpha, that’s me. You know me as Allie – Allie the Aardvark; but when I’m not on duty, when I come back to The Centre for debriefing, I’m called Alpha. It’s fun being the first. I get the best gigs. But don’t mention Omega if you happen to find your way here. It’s a bit like asking for ketchup in a five star restaurant: you get that look. “I am the Supreme Concordant, Alpha. You cannot hide anything from me.” He knows how to throw his weight around, does HOH. I was going to have to fudge this somehow. The Union Bond is shared between High Aardvarks and their clients. It means that only the client can hear what we are saying. To everyone else we are mute. Some Aardvarks, myself included, like to have a little fun with this. As long as we don’t go too far, it’s generally overlooked. Even HOH likes to have a laugh now and again. “You’ve been in Dublin too long, I fear. Maybe you do need a holiday. Your request is granted.” He rubber-stamped my application form. “What about my other requirements?” I asked. “64 football matches,” I replied. And that was that. I was off to South Africa to see the World Cup. Who was I going to support? Certainly not France, that’s for sure. 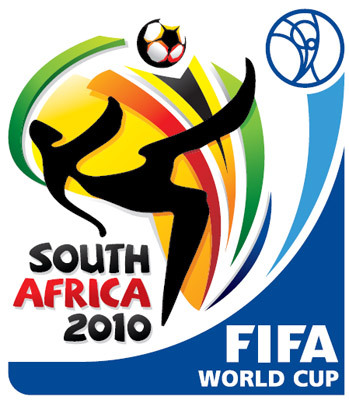 This entry was posted in Allie The Aardvark, FIFA 2010, South Africa and tagged Allie The Aardvark, FIFA 2010, World Cup. Bookmark the permalink. Ha!!! Too funny to think of the Book of Faces as our conscience in life! If it emerges that this is a memoir and not a hilarious piece of fiction, and you were in South Africa without dining at my table, I shall ask you to lean closer to your screen so that I can poke my knitting needle in your eye. Okay – serious bit over! I missed your smarts Allie- welcome home! Hey Allie, Will you also visit some South African sites? If so, let us know about them. I’ll have to see how far my Universal Travel Displacement Visa gets me. I have certain terms and conditions to adhere to.